We supply a wide range of original Samsung parts for screens because we are an authorized Samsung partner. 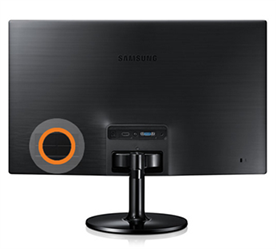 That is why you can always rely on us for new Samsung screen parts such as original screen stands, plugs, cables or pressure switches. Order the part you do not have or that is defective in our web shop and receive a 100% original part by entering the model code in the grey bar above. You always need a model code to be able to place an order at Samsungparts.eu. The model code of a screen is always on a label on the backside of the screen. Enter the model code in the grey bar on the website and you will be directed to the product page of the appliance. This page has an overview of all the parts available and you can place your order directly from here. If you cannot find the model code or if you need help selecting the right part, please contact our product experts at the Support Desk. They are happy to help you find the right screen part. Remote control: Remote controls for screens regularly get lost. You can order an original version for your screen in our web shop. Normal stand: Would you like to place your screen on a stand to create more space on your desk? We sell original stands for your Samsung screen. Wall bracket:you can order a wall bracket for your screen in our web shop. We have an original wall bracket for every model of screen. If you need advice on ordering the right parts, we are happy to help you. 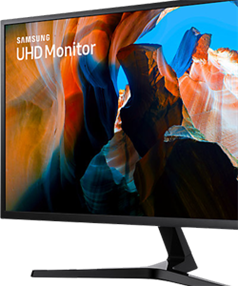 Try to find the model code or model number of your Samsung screen in advance. After you have found the model code or model number, please contact our Support Desk. A member of our staff will help you to find the right part.